In Barcelona at the Mobile World Congress 2014 the whole world witnessed the coming true of a rumor. We witnessed the launch of Nokia Android Phones. 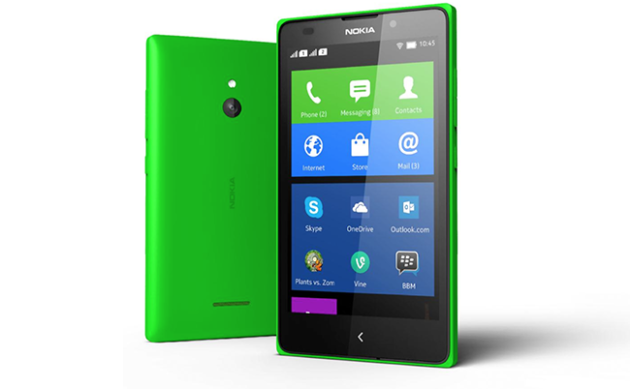 The rumors were about one Android Smartphones touted to be as Nokia X. But then Nokia stunned everyone by adding two more Androids to the list Nokia X+ and Nokia XL. This was finally a dream come true for Nokia Loyalists, who wanted best of both worlds; The fusion Nokia’s Reliability and Android’s features gave birth to Nokia Android Phones. After Nokia Lumia Series and later buyout by Microsoft the chances of Nokia Android Phones were slim or nearly negligible. But since Android hauls 86% of the total mobile market in the whole world. Going with Nokia Android Phones was a better choice. Microsoft and Nokia does plan to sell next 1 Billion Nokia Android Phones. The Phones as expected do not come with Google Play Store or a matter of fact are void of any Google Services. These are AOSP (Android Open Source Project) devices which means they come with plain Android without any layering of Google Services. We’ll explain the whole concept in a follow up post. Right now lets talk about Nokia Android Phones specs. 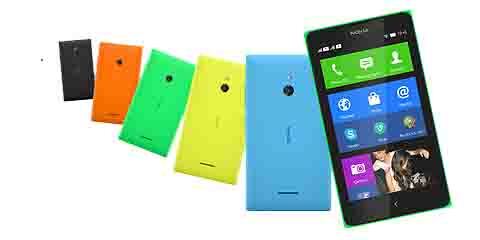 Two phones Nokia X and Nokia X+ comes with 4 inch display while the Nokia XL comes with a larger 5 inch display. The phones strictly use the beautiful design of Nokia’s Lumia Devices and there’s only one physical button at the front. There aren’t any major changes between these three phones. They fall under Nokia’s budget segment as the entry-level is taken care by Asha series while top end segment consists the Lumia Series. Nokia X, X+ and XL are already listed on Nokia India’s Site. The prices that we’ve come to know is 89 Euros (approx ₹7580) for Nokia X, 99 Euros (approx ₹8430) for Nokia X+ and 109 Euros (approx ₹9285) for Nokia XL. We expect these phones to come in India within the next month. The prices might be on the higher side after these devices launch in India. Stay with us for more news regarding this story.